Barrington Dance Ensemble will present its production of Under the Big Top at the Sanfilippo Estate’s Carousel House on June 15th & 16th. Celebrating the circus of yesteryear, Under the Big Top will be a fun family event, featuring professional circus entertainment, a performance of BDE’s circus ballet, carousel rides and tours of the Carousel House. The event will include a full lineup of circus entertainment including a stilt walker, face painting, professional clowns and balloon artists, and rides on the Sanfilippo antique carousel. Several well-known local residents will join in on the fun as costumed characters. 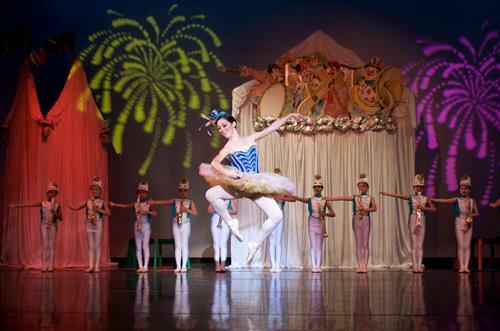 Following all of the entertainment, Barrington Dance Ensemble will present its turn-of-the-century circus ballet, Under the Big Top, featuring BDE company members, local students, and professional guest artists. Tickets are $22 for adults, $18 for children and seniors, and $5 for kids age 5 and under; general admission seating.